There are numerous ways that you can take action. As students, you can visit the "Campus Activism" page and download the Organizing Packet that will help you to start a campaign to make your campus Coca-Cola free. 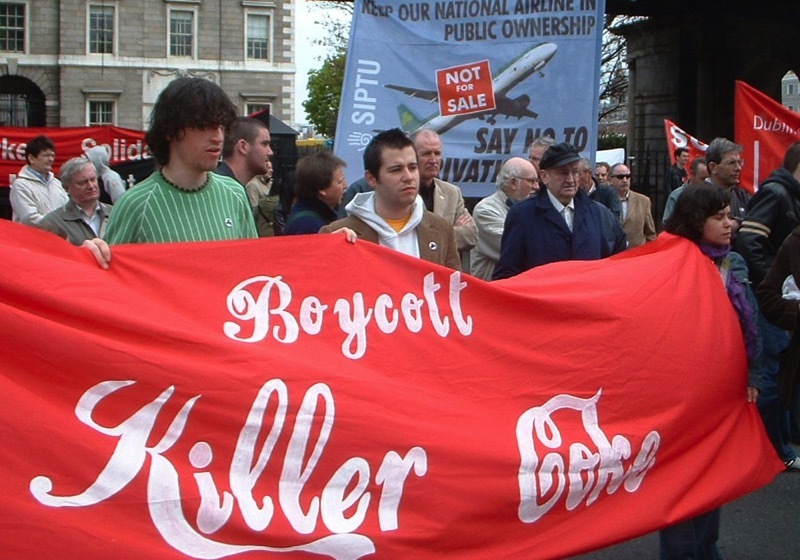 As a member of a labor organization, you can help the campaign by starting a movement to make your union's facilities and functions Coca-Cola free. Please visit the "Labor Union Solidarity" page and view the resolution to begin the internal process for removing Coke from your workplaces and union operations. Everyone concerned with stopping Coke's abuses and obtaining justice for victims are important to the success of the campaign. Please contact us to discuss how we can work together to bring this abusive company to justice. Contact the Campaign to Stop Killer Coke at info@KillerCoke.org or 1 (718) 852-2808.